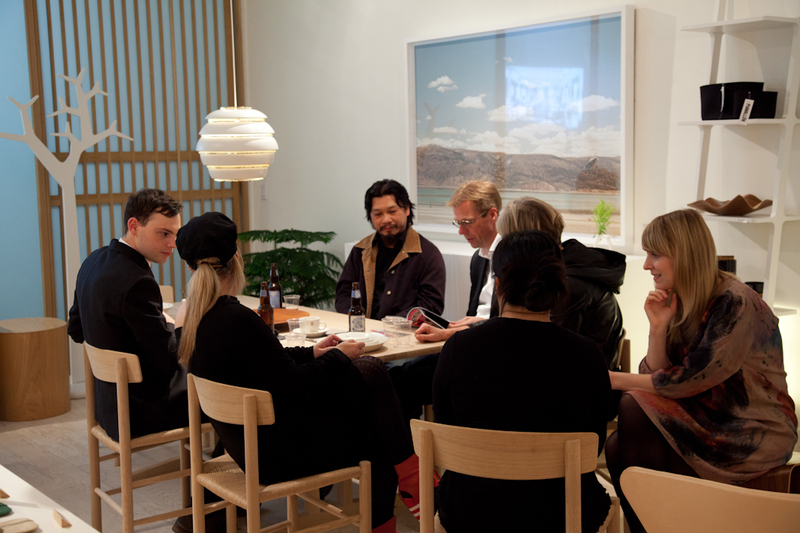 On Thursday we celebrated the opening of the Fredericia furniture showroom at Mjölk. 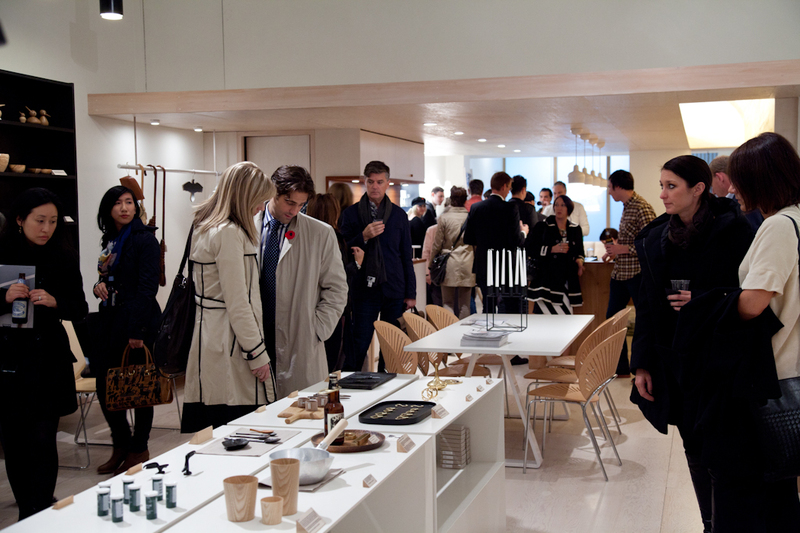 This has marked a new chapter in the evolution of the store, we’ve gone from carrying a range of different furniture collections to focusing on a few key collections. 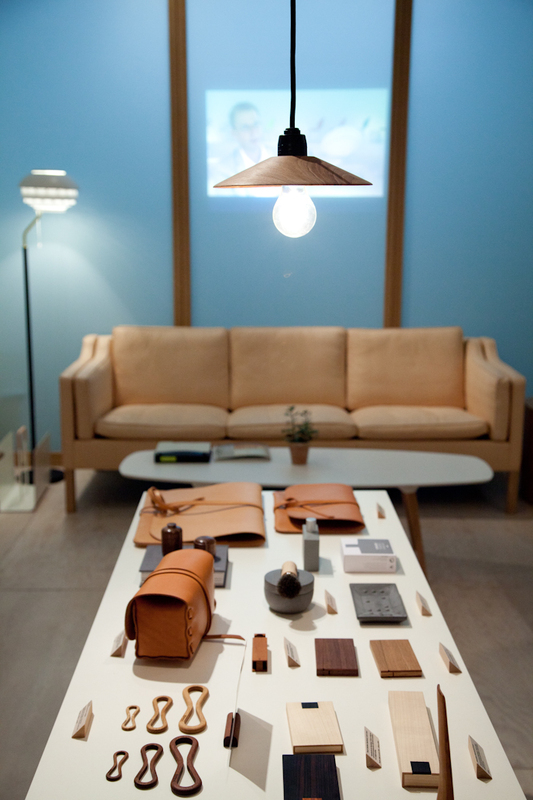 A big reason for us to open the store in the first place is because of Fredericia, and not being able to see their collection locally. After everything it would have cost the same to order a brand new Børge Mogensen sofa, but there weren’t any retailers on the East of Canada. It was this experience that lead us to our first thoughts of opening a store. We thought there must be other people like us looking for this type of furniture in Toronto, and if they had a way to see it and order it they would buy it from us. 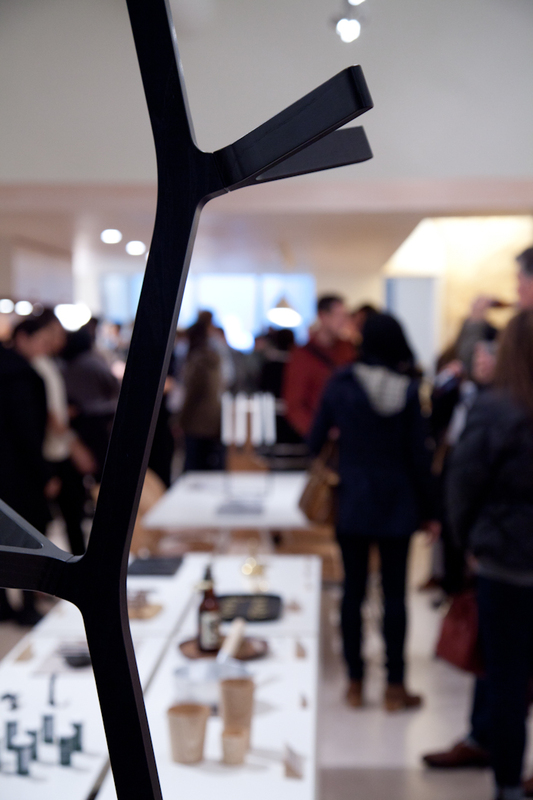 Fast forward to opening the store and visiting the Fredericia factory for the first time. We met with our friend Elizaveta the export sales manager, the president of Fredericia Thomas Graversen, the Fredericia office staff in which we could finally put names to faces, and the incredible team in the workshop. After an amazing day of talking Mogensen, Ditzel, and FurnID we got home knowing this was a company we wanted to do business with. 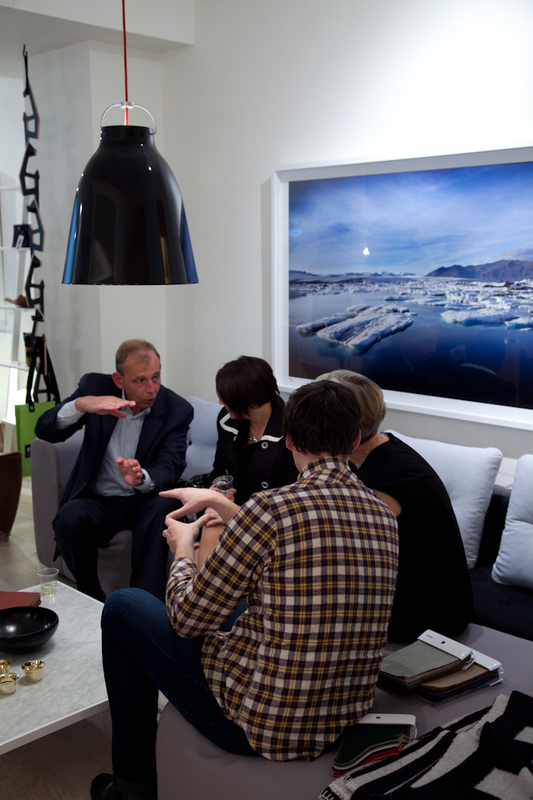 Now we have worked together to launch the official Fredericia showroom in Toronto, which we are thrilled about. 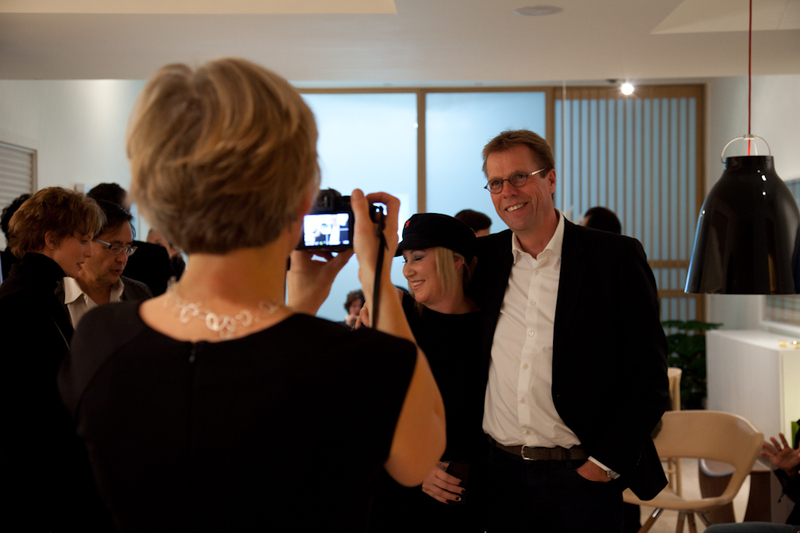 Thomas and his wonderful wife Henrietta flew in from Denmark to come for the event, and Elizaveta came from a trip around the world. 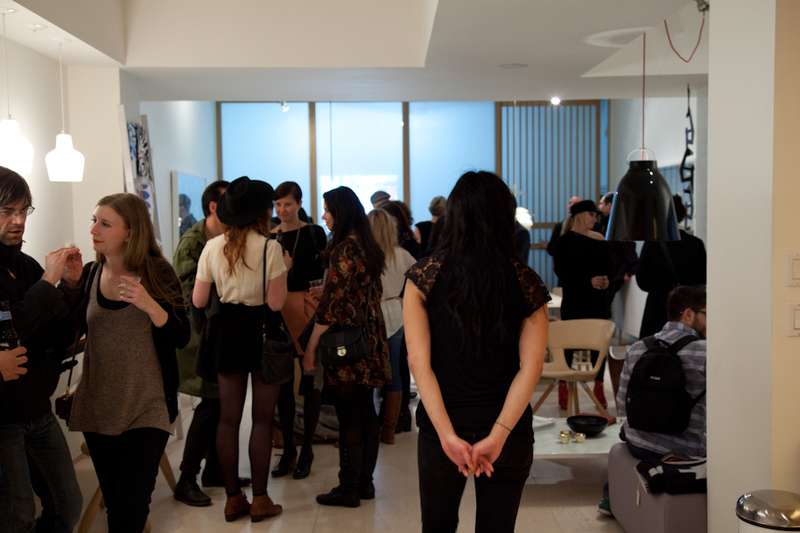 We were so happy to see a lot of familar friends, designers, architects, and customers all in one place. 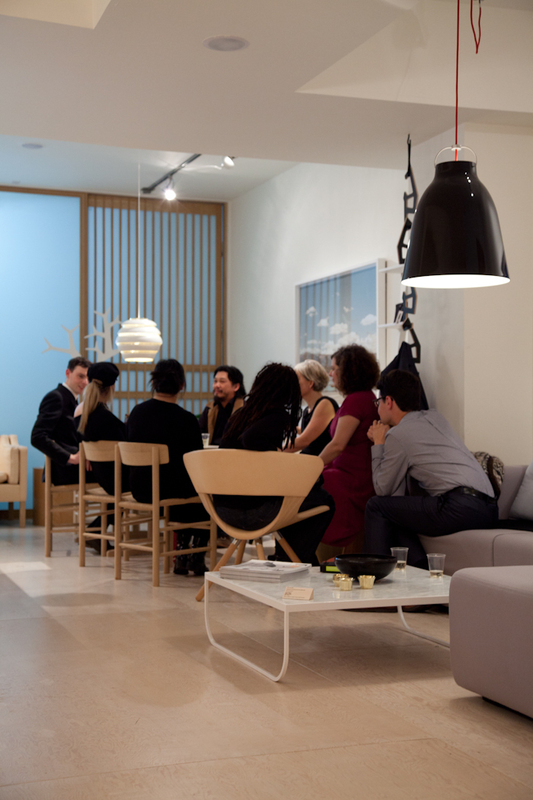 The night had a wonderful positive energy as people enjoyed the catering from Parts and Labour, good conversation, and (in our opinions) the most beautiful furniture on earth. 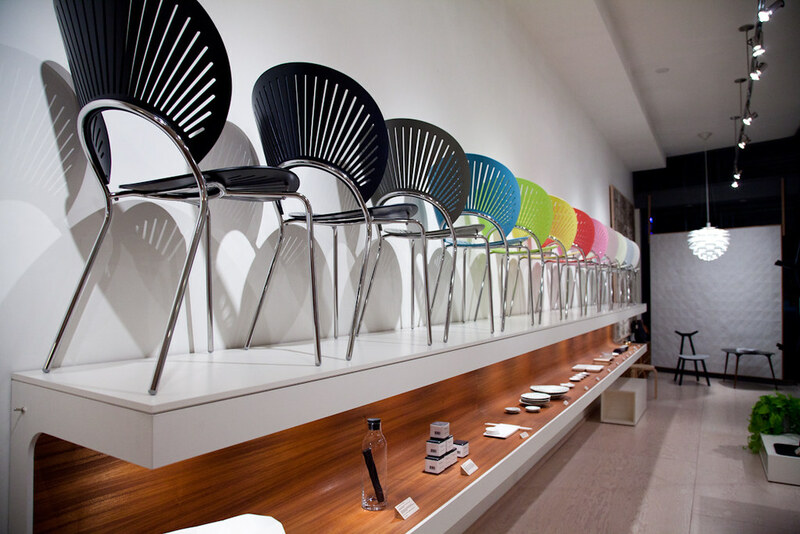 The wall of Trinidad chairs in all the colours of the rainbow. 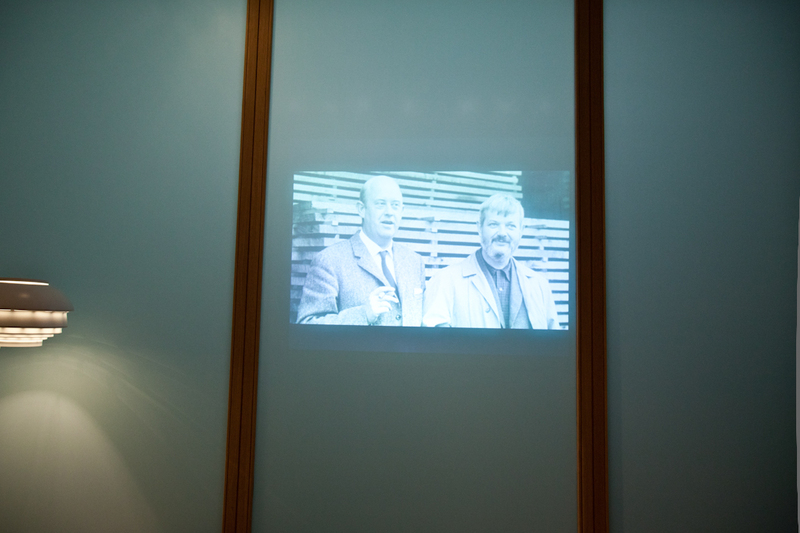 We set up a projector on the glass wall at the back featuring a movie about Fredericia. That is Thomas’s father on the left and Børge Mogensen on the right. The 2213 sofa at the end get it’s name from the internal length of the sofa. 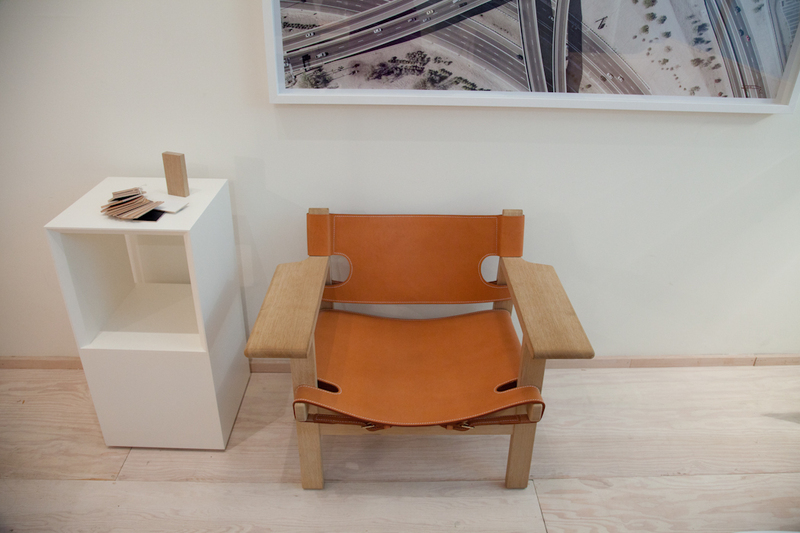 A length specifically designed by Børge Mogensen so he could lay flat on the sofa from head to toe. A length my brother really appreciates when he crashes on our Mogensen sofa. The best part of the night for me was sitting around the dining table after everyone left and just chatting the night away. By the standards of cabinet making in Denmark during the time Thomas’s father took over the company, Fredericia’s furniture was not considered craft furniture, it was modern and built efficiently. 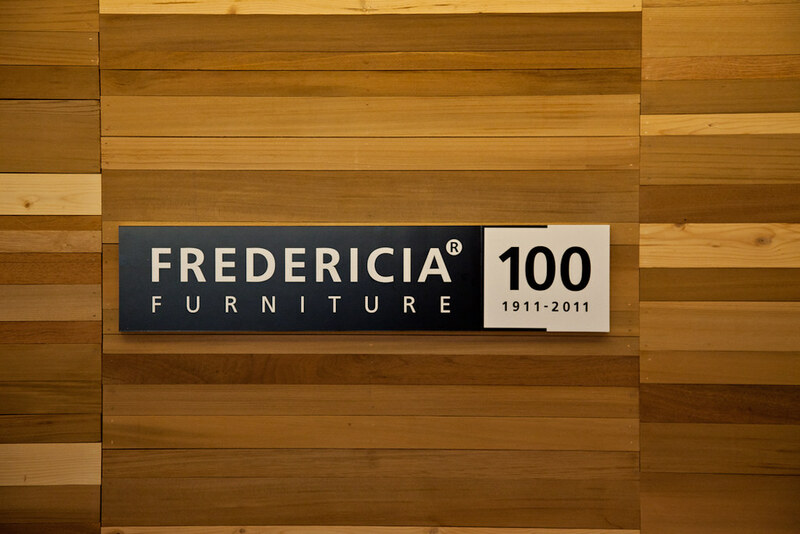 By today’s standards Fredericia is considered to be craft furniture, as other companies made concessions to create cheaper and more mass produced products. There is an uncompromising attitude when it comes to making classics like the 2213 sofa by Borge Mogensen. 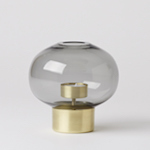 Longevity was such an important aspect of Mogensen’s work that he only used the best materials. Although as time went on material costs and labour became more expensive, the construction of the sofa has remained the same. When Thomas purchased the company he brought in a fresh perspective. Thomas brought the idea of sub-contracting to Fredericia, the idea of if we can’t make something let’s find someone who will. A piece like the Sting Ray chair started it’s life as a wire mesh chair made by Thomas Pedersen. 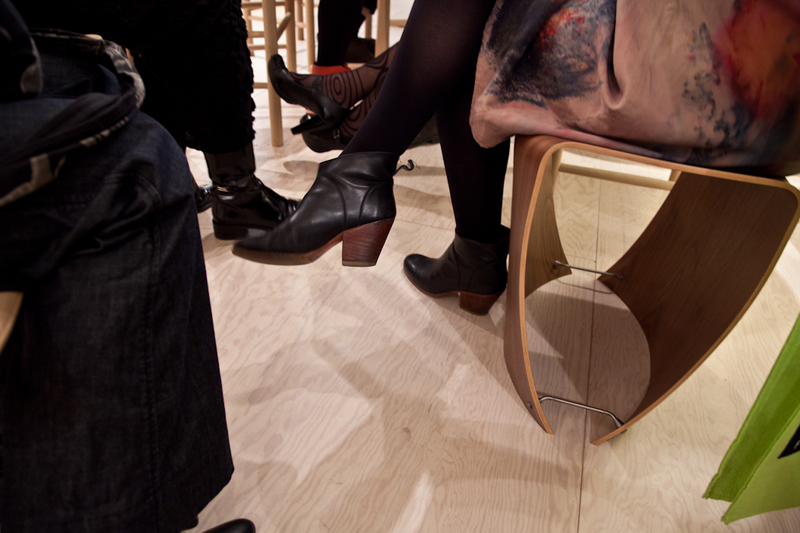 After seeing the work at an exhibition, Fredericia put the chair into production and constructed it using the largest plywood vacuum press in the world and has since won dozens of design awards. Another example is the Trinidad Chair. At a time when routers were in their infancy Thomas and Nanna Ditzel worked to create the Trinidad chair using the efficiency and accuracy of this new technology to create a fan pattern in the back and seat of the chair. These are some of the reasons why we admire Fredericia, and are honoured to be apart of the family. 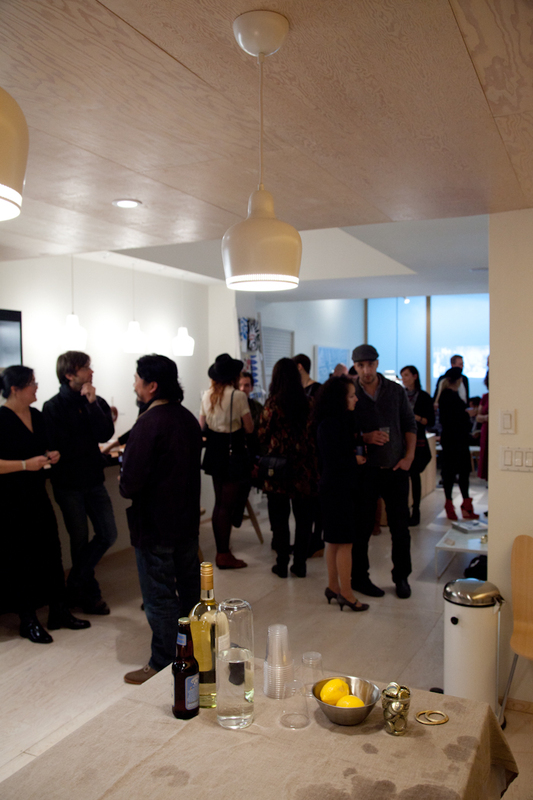 Thank you for everyone that came out on Thursday, and to Thomas, Henrietta, and Liza for flying all the way to Toronto to celebrate the opening.